Yoga Baby | Live. Learn. Love. Eat. Every morning after breakfast I have been doing my own 20 minute yoga routine. Mostly sun salutations with a little bit of standing poses and some other stretching. Serafina has been copying me too. I was laughing so hard in downward dog, that I had to go and grab my camera and take a picture of her. The funny thing is that Kesa used to do this too when she was a baby, around the same age. 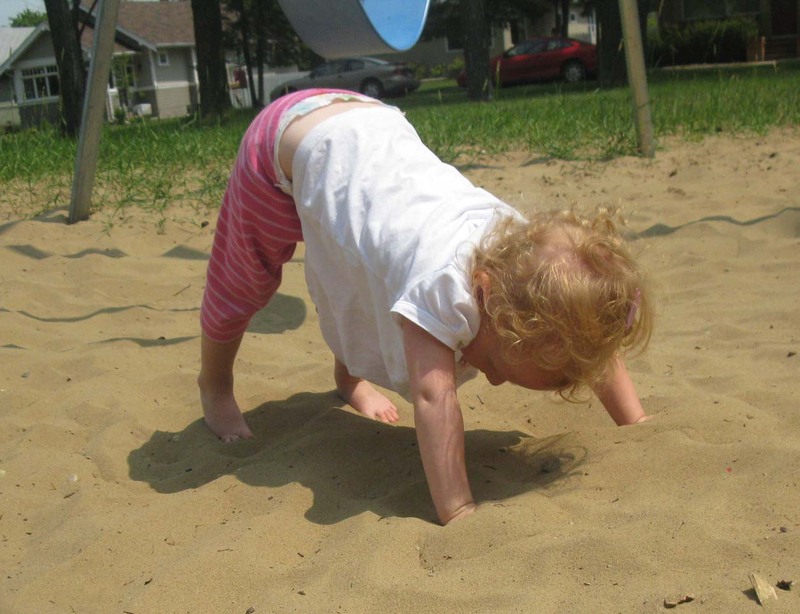 And thinking of that reminded me of this video of Kesa doing Rodney Yee yoga at 15 months old, which always makes me laugh. She will be the next generation Yoga instructor! So cute! This is amazing! 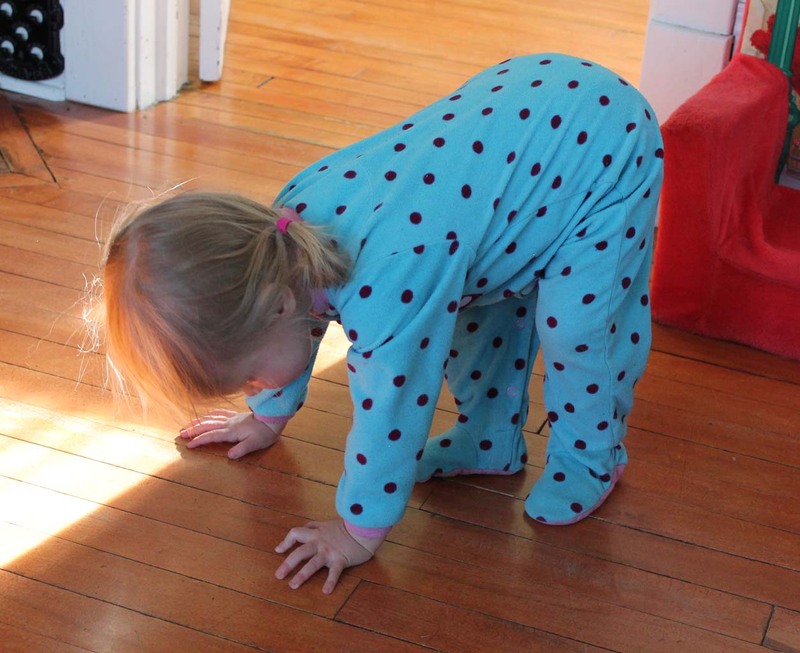 I hope when I have babies they will be inspired to practice yoga, too! 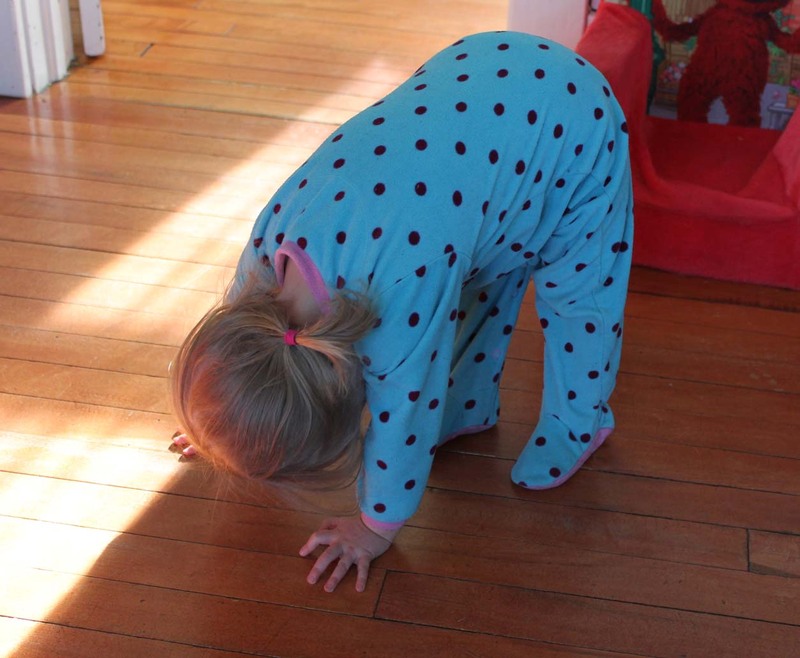 Maybe she should make a yoga for babies and toddlers video herself! 🙂 I think it is rather cute. Oh my gosh, love it!! I also love the part in the video where Kesa is lying on her back with her legs up and she takes a moment to stretch out her socks…so cute! This made my day. awww the cuteness^^ the video is absolutely adorable. This is too much!! My son still won’t let me put him down long enough for me to be able to do much yoga yet, and I miss it! Hopefully I can get him doing baby yoga with me soon.